Bring Me The Horizon Graciela DuBois is desperate to find the vile pirate who took her sister. What better way to hunt a pirate than with another pirate? When she strikes a reckless bargain with the infamous Captain Banning, she soon realizes a ship full of rogues isn’t as dangerous as her growing desires for the captain. Blood And Treasure Tavern wench Lianna Whitney unexpectedly comes into possession of a golden medallion. When the man who left it with her is immediately murdered by soldiers of the Royal Navy, she’s afraid to admit she has it. 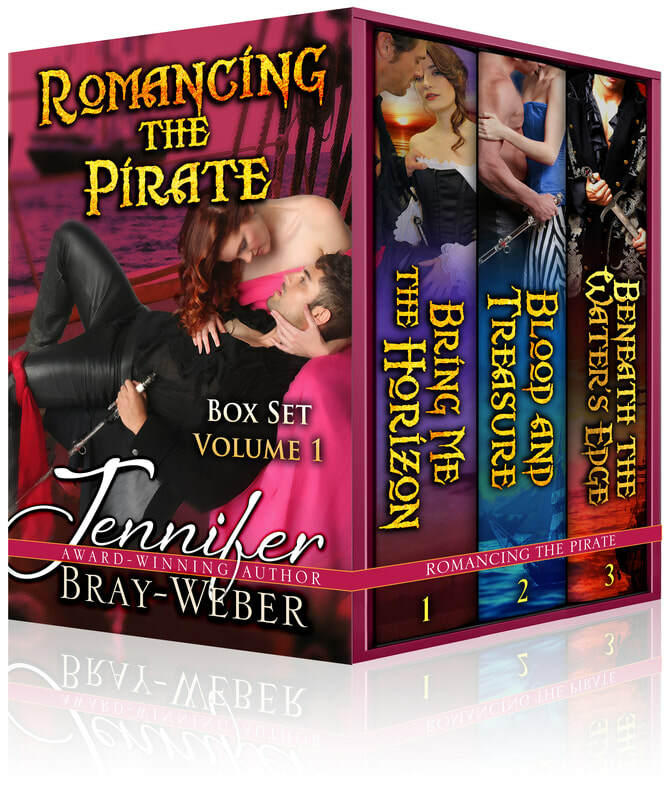 Unsure who to trust, she’s caught up in crossfire between navy officers and pirate Captain Zane Fox, who, realizing she possesses the object he’s been paid to find, whisks her away. As they fend off storms at sea and attempt to outrun the navy, the two are also fighting the attraction they feel for one another. But when they are captured, it becomes clear to Zane the medallion is not the only treasure worth risking his life for. Beneath The Water’s Edge Captain Bran Blackthorn has grown weary of the pirating trade and seeks a King’s Pardon for his crew. Unfortunately, the man who could sign a reprieve, his half-brother Governor Flynn, would rather see him dead. When the gods—or the devil—bestows an angel to his spoils, he sees an opportunity to force a pardon with her ransom. Never mind his beautiful pawn has bewitched him.